Who doesn’t love learning about space!? 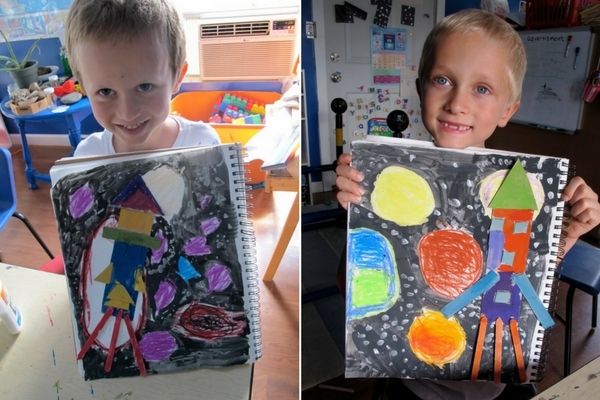 Kids love to learn about the stars, astronauts, and planets- so help them get excited about the world we live in with these fun space crafts and activities that are perfect for preschoolers! 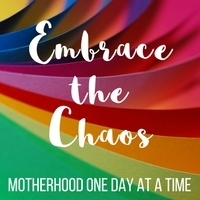 Remember let your kids enjoy the process and use these ideas and tutorials as a jumping off point to creating your own version of the finished space craft! 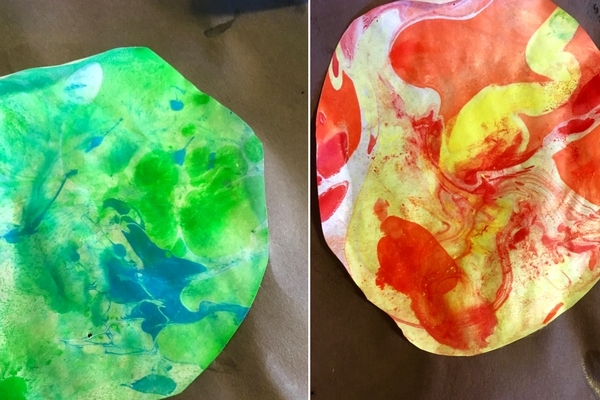 The solar system is made up of some amazing colorful planets- make your own planets that are swirled and marbled just like the gas giants with this marbled planet craft! 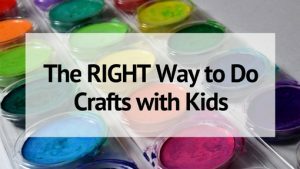 This is the perfect space craft for preschoolers because it’s some what messy, colorful, and gives different results every time. They’ll want to keep dipping their paper to see what the next planet looks like! All preschoolers love play dough- so space themed galaxy dough is tons of fun! Use this recipe for galaxy dough– or simply add black coloring and glitter to my favorite play dough recipe! My boys love anything that had to do with transportation- so a cardboard rocket is the perfect space craft for preschoolers! A cardboard tube, some paint, maybe some tissue paper flames- and it’s ready to fly! Here’s a great tutorial to give you an idea of how to get started. Marshmallows and pretzel sticks to study the stars? Sounds great to me! And what’s better than a space craft that preschoolers can eat when it’s done?? Here’s how to get started on making this yummy space activity! This moon sand sensory bin looks like so much fun- moon sand, toy astronauts and rockets, plus some stars! 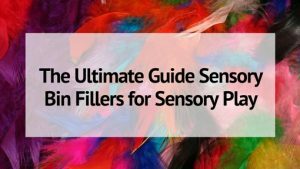 Young kids love sensory play so this space activity is perfect for preschoolers or toddlers. Let your preschoolers fly a comet all over the yard! This cute space craft is a ton a fun and so easy to make! I love that this space craft gets preschoolers outside and moving- and interacting with the craft they just made! Directions on how to make your own comet! Tissue paper is an easy medium for collages. Get some green, blues, red and orange tissue paper and create your own planet collage using a paint brush and glue. See an example of the finished project here. This one has it all- cutting practice, writing practice, arts and crafts fun- all in a space theme! What’s a better space craft for preschoolers than one that helps them learn how to read and spell their name! Check out how to make these fun name rocket ships. 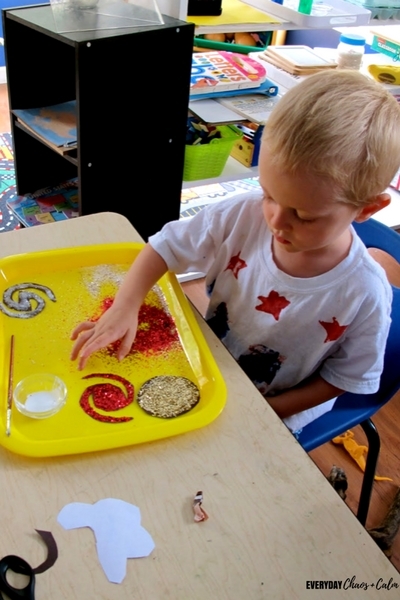 Teach your preschoolers about galaxies by making a glittery galaxy mobile! All my kids love glitter- especially when they are young- the final product looks great hanging in front of a sunny window! Balloons and paint make a great craft for preschoolers. This one uses balloons and multicolored paint to create the marbled look of the planets. Love the swirly look of galaxies or nebula? Make this galaxy-in-a-jar for the kids to explore. 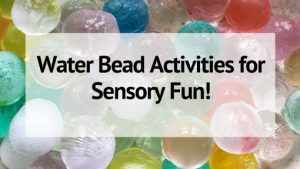 Great sensory activity! Get the directions to make your own galaxy jar. Give your preschooler a tray of space themed toys and items to play with in their galaxy dough. This space themed play dough tray includes star cookie cutters, glitter stars, astronaut toys, plus some fun “space rocks”! Create cute constellation pictures with black paper, gold stars and chalk! This is space craft will give preschoolers a good fine motor work out by peeling and sticking the star stickers. This is a fun mixed media project that includes a rocket made out of cardboard and a painted space background. This is fun for all ages- toddlers up to school aged! Learn about the phases of the moon using Oreo cookies- or go a little more healthy and use round crackers instead. Get the full scoop on this yummy space activity! Let the preschoolers sew the constellations with these cute cards and yard. Such a great activity for small motor control! Get the space sewing cards here. Slime is all the rage right now- and this night sky slime is the perfect space activity for busy preschoolers!